The festival that truly puts the “roll film” into Rock’n’Roll is back in the city of Brighton this spring! Taking over Brighton’s art spaces and select theatres between 1st – 7th April 2019, Doc’n Roll Film Festival returns with another mouth-watering programme chock-full of music documentaries about your favourite bands, scenes and labels, stimulating live Q&As with an array of boundary-pushing artists and directors, exclusive after-show parties, and much more. The ultimate arts festival for film buffs and music aficionados alike, Doc’n Roll 2019 will present six fascinating feature films that chart the incredible stories of ground-breaking labels Blue Note (It Must Schwing! The Blue Note Story) and Trojan (Rudeboy: The Story of Trojan Records); shine new light on the previously unexplored depths of the Detroit techno scene that would redefine electronic music (Never Stop – A Music That Resists); explore the best soundtracks you never knew existed (The Library Music Film); launch you full-pelt into the world of punk’s fearless heroines as they break the glass ceiling and blow the genre apart (Stories from The She Punks); and take you behind the scenes with Badly Drawn Boy as he creates his Mercury Prize-winning debut (About A Badly Drawn Boy: The Story of the Hour of Bewilderbeast). Among a number of live Q&A highlights, expect candid insights from punk pioneer and co-director Helen Reddington (The Chefs) as she discusses She Punks, and The Mitcham Submarine’s first-hand account of working with Damon Gough, AKA Badly Drawn Boy, on his cinematic portrait of a unique artist and a seminal album. This year Doc’n Roll Brighton will also introduce a not-to-be-missed selection of stunning film shorts especially selected for the 2019 edition. Back to Brighton by popular demand, Doc’n Roll Festival once again promises to entertain music fans and enthral documentary lovers with an eclectic and idiosyncratic cinematic programme unlike any other in the UK. Join us at the launch of our Doc’n Roll Brighton 2019 printed programme, where we will screen a hand-picked and eclectic programme of shorts that reflect the diversity and depth of this year’s edition. Some of the best music ever written… and it was never made available to the public. Composed and recorded for use in film, television broadcasts and advertising, and covering every genre, instrument and atmosphere, library music was an an off-the-shelf option cheaper than commissioning a composer to score a soundtrack. In its golden era from the late 1960s to the mid-1980s, thousands of albums were created by the world’s greatest composers using full orchestras in the best recording studios, with the best engineers and recording equipment. Only available on vinyl and only given to industry professionals, library music albums had tiny production runs; sometimes only 200 copies were pressed, and most were destroyed in the 1990s. Despite its rarity, this music now has a loyal and growing following of DJs, tastemakers, record producers, beatmakers, journalists and vinyl enthusiasts, and library music tracks have been sampled to form the backbone of some of the biggest chart-topping singles by contemporary artists. In a documentary fronted by record producer, composer and enthusiast Shawn Lee, The Library Music Film takes viewers from London across Europe and to California in search of some of library music’s pioneers, including Alan Hawkshaw, Keith Mansfield, John Cameron, Barbara Moore, Janko Nilovic, Brian Bennett and Stefano Torossi. And in interviews with DJs and producers including Mark Rae and Fatboy Slim, US hip hop stars such as Cut Chemist (Jurassic 5) and Young Einstein (Ugly Duckling), and Marvel’s soundtrack composer Adrian Younge, we hear why library music continues to play an important role in today’s music industry. + After-party @ Merkaba (MyHotel), from 8pm to midnight. In celebration of The Library Music Film screening, Doc’n Roll Fest will be throwing a special after-party. DJs will spin 3 hours of exclusively library, soundtrack and library-inspired tunes for those intrigued to hear more of the miraculous records featured in the film. 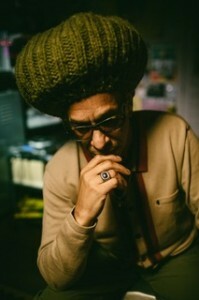 Three of 1BTN Radio’s most Library-savvy DJs will be on hand to pull out their picks, and a secret special guest DJ – who also appears in the film – will join them on the decks. Entry is free for anyone attending the film screening. 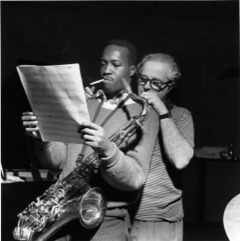 In 1939, Alfred Lion and Francis Wolff, two young émigrés from Berlin, founded the legendary jazz label Blue Note Records in New York. The label dedicated itself exclusively to the recording of American jazz music and developed its own unmistakable recording style and sound. Blue Note Records discovered and produced an impressive roster of international jazz stars including Miles Davis, Herbie Hancock, John Coltrane, Sonny Rollins, Wayne Shorter, Thelonious Monk and Quincy Jones. At a time when African-American musicians in the US were discriminated against and ostracised, Blue Note Records respected them as artists and equals, not only valuing their talents, but also giving them a much-needed platform. It Must Schwing! tells the moving story of two friends united by a passionate love for jazz, and of their profound belief in equality and freedom for every single human being. Loud, fearless and (un)typical girls: Gina Birch (The Raincoats) and Helen Reddington (The Chefs), musicians and punk icons turned directors, serve up a fascinating documentary built on new interviews with the women who played instruments in punk bands in the 1970s. In accounts laced with wit, honesty and insight, pioneering players including the Adverts’ Gaye Black (bass), Palmolive from The Slits (drums), Shanne Bradley from The Nips (bass), Jane Munro from The Au Pairs (bass), Hester Smith and Rachel Bor from Dolly Mixture (drums and guitar), bassist Gina and guitarist Ana Da Silva from The Raincoats, as well as many others, recall acquiring instruments, learning to play, forming bands and getting gigs. This striking and beautifully filmed documentary tells the compelling and unexpected story of Detroit techno and the local labels that enabled its stubbornly independent underground culture to resonate worldwide. It is the tale of a creative force, inspired by new attitudes towards technology and electronic communication, that built a future-facing DIY utopia in a machine-age city undergoing huge change as its place at the heart of American manufacturing slipped away. 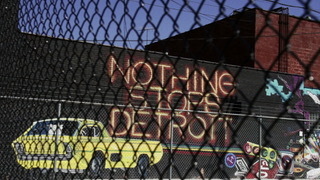 As Detroit struggles toward rebirth, Never Stop looks back over the genre’s thirty year history via interviews and insights from the movement’s legendary figures, including Juan Atkins, Derrick May, Carl Craig and Jeff Mills, who focus on the radio DJs who inspired them, the record shops who supported them and the major labels who rejected and tried to thwart them; the independence, enterprise and empowerment that inspired them; and the sequencers, sounds and scenes that created a musical phenomenon. 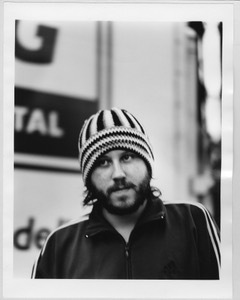 An in-depth feature film all about the boy himself, Damon Gough, and the legacy of his Mercury Prize-winning album The Hour of Bewilderbeast, 19 years after its 2000 release. Damon talks about his musical upbringing, the mix tape cassettes his mother made him, the first record he bought and the first concert he attended. The story continues with Damon meeting his creative collaborator and business partner Andy Votel and their founding of the Twisted Nerve label in Manchester in the late 1990s. We hear of the influences Damon brought to the album, the songwriting process and stories behind the songs, musicians, producers and album artwork. Featuring exclusive new interviews with Damon and acoustic performances of songs from the album filmed in the Gough family print factory in Bolton and his home in Manchester, the film also includes previously unseen archive footage and photographs, animation and more. We hear from Andy Votel, musicians Jane Weaver, Ian Smith (Alfie), Jimi Goodwin (Doves), Guy Garvey (Elbow) and Ghostpoet, Damon’s big brother Simon Gough, Grammy award-winning producer Ken Nelson, XL Recordings’ Richard Russell, film director Garth Jennings, journalist Luke Bainbridge, DJ Pete Mitchell, 2000 Mercury Music Prize judge Fleur Sarfaty, Square One Studio’s Bob Little and artist Joe Simpson. We celebrate music subcultures by providing a unique platform to support the wealth of creative, compelling and unforgettable documentaries that celebrate the performers, labels, scenes and stories. We are passionate about independent film and music across all genres, and we give audiences the opportunity to watch these films as they were designed to be watched: LOUD. We launched Doc’n Roll Film Fest in 2014, convinced it was time to show some love to the under-the-radar music docs that all too often were being ignored by risk-averse film programmers. At the BFI we support, nurture and promote the art of film, television and the moving image. A charity, funded by Government and earned income, and a distributor of National Lottery funds, we are at the heart of the UK’s fast growing screen industries, protecting the past and shaping their future across the UK. We work in partnership with cultural organisations, government and industry to make this happen. We bring our world-class cultural programmes and unrivalled national collections to audiences everywhere, and promote learning about our art-form and its heritage. We support the future success of film in the UK by nurturing new voices and fresh ideas, enriching independent British film culture, challenging the UK’s screen industries to innovate and defining Britain and its storytellers in the 21st century. Brighton’s premiere showcases for the very best in independent, art-house, foreign-language and quality mainstream cinema from around the world. The original rock’n’roll Brighton boutique hotel. With 19 individually themed bedrooms to choose from, there’s something to tickle every tastebud.